A New Financial Geopolitics? The U.S.-Led Monetary Order in a Time of Turbulence e-book was published by Foreign Affairs magazine in January 2018. 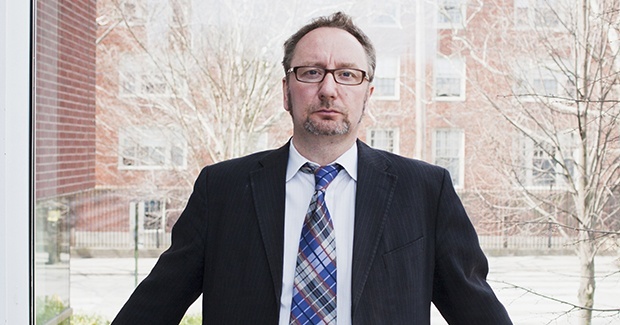 On March 24, 2017 Mark Blyth, Eastman Professor of Political Economy at the Watson Institute and Sylvia Maxfield, Dean of the School of Business at Providence College, held a multidisciplinary conference on "The New Financial Geopolitics: How long can the US keep going as the Lender, Leader, and Reserve Asset of Last Resort?” The conference brought new research to bear on the issue of global monetary stability, which is based around the widespread use of the US Dollar in international transactions and reserves, and what might upset that order. Contributions from the conference were sought by Foreign Affairs magazine and were published individually during December 2017 and January 2018. They have now been brought together in a new e-book, published by Foreign Affairs entitled, “A New Financial Geopolitics: The U.S.-Led Monetary order in a Time of Turbulence.” The e-book features essays on how technocratic management of money fuels populism (Best), why a flight from US Treasuries is unlikely (Sandy Hagar), why the Eurozone may not be out of the woods just yet (McNamara) and may be especially vulnerable to populist pressures (Blyth and Tilford), why China may not really want its currency to be the alternative to the Dollar (Wang) or even have the capacity to do so (Katada).